"The Gateway to the Nootka Sound"
Gold River, BC, Canada is a small village located at the heart of Vancouver Island neighbouring the Gold and Heber Rivers, and the Pacific Ocean. The village is referred to as "The Gateway to the Nootka Sound". Activities most enjoyed in the Village of Gold River and the surrounding areas include boating, fishing, ocean and river kayaking, flightseeing, wildlife watching tours, hiking, golfing, sailing, scuba diving, boat cruises, backpacking, mountain biking, rock climbing, wilderness camping and caving. A few of the more popular activity and sightseeing park and trail destinations located in Gold River and the surrounding area includes Nootka Island Trail, Upana Caves, Star Lake, Gold Muchalat Provincial Park, Crest Creek Cragg, Antler Lake and the Strathcona Provincial Park. The most visited sightseeing attraction in Gold River, British Columbia is Friendly Cove (Yuquot) on Nootka Island. The community of Yuquot in Nootka Sound bares a large historical significance to the birth of Canada. It was here on the shores of Nootka Island where Chief Maquinna first met the European explore James Cook in 1778. It was the first recorded European and First Nation meeting on land. What type of places to stay are there available in Gold River, BC? Places to stay include accommodations like motels, inns, vacation homes, bed and breakfasts and campgrounds. 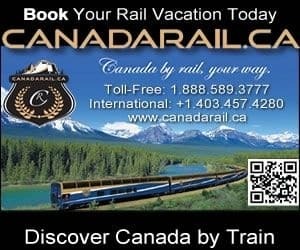 Important services and amenities for travelers when exploring in and around Gold River, BC, Canada includes tours, guides, pubs, restaurants, gas station, gift stores, liquor store, bank and transportation services including taxi, floatplanes and water taxi (cruises). Explore Gold River, British Columbia, Canada Travel Guide for Accommodations, Attractions and Adventure. eh! Plan Travel to Gold River, BC, Canada.